For those of you who haven't heard yet, I have two pieces of good news: (1) I'm home from my long business trip (thank goodness), and (2) I'm the proud owner of a brand new Magic 4. 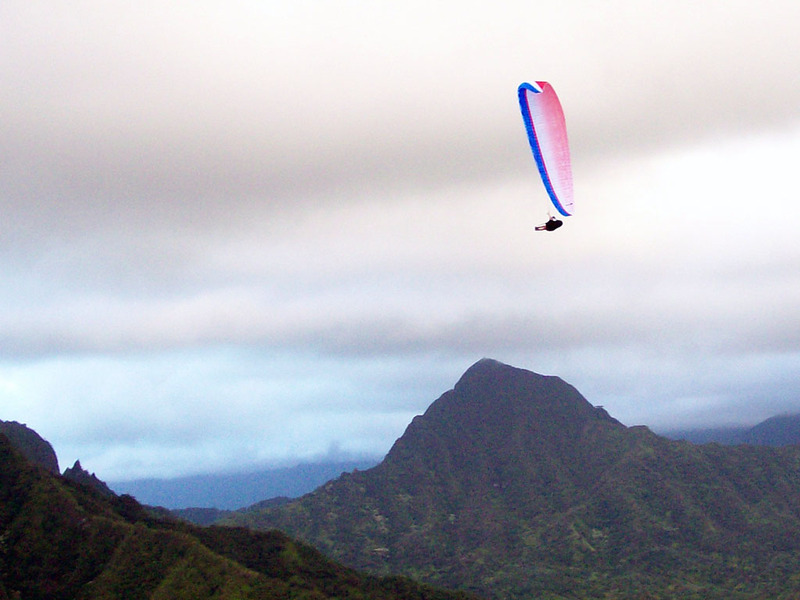 Here is a picture Don took of me yesterday, fresh off the plane and soaring over Kahana under a sporty new red-white-and-blue fashion statement. My brain may still be on the East Coast but my soul is right back where it belongs, floating over my favorite spot in the world. See you all soon! Welcome back, Alex. It looks to be a VERY nice wing. It should be easy to identify you in the skies or on lauch now.